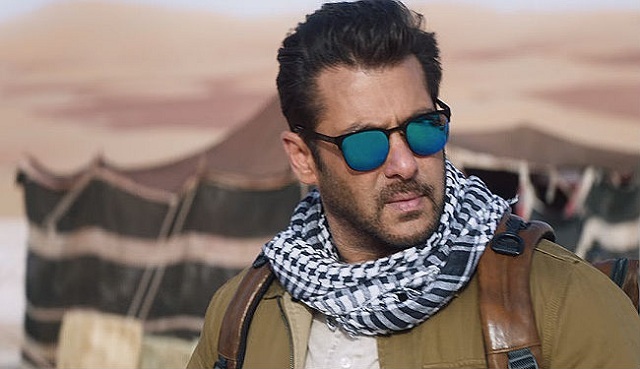 Tiger Zinda Hai 5th Friday (29th Day) Collection Report. Starts Well Again. Tiger Zinda Hai has started 5th Friday (29th day) at box office on very well note. Film has collected an approx 75 lakh nett on day 29. Thus, film collected near about similar collection to 4th Thursday. There is hardly any kind of drop. This augurs well for fifth weekend now. Tiger total business after 29 days is approx 330.5 crore nett. Film is now all set to cross 335 crore nett mark by the end of week 5. Film is almost certain to touch 337-338 crore nett in its theatrical run in India. If film somehow manages few good screens from 6th week onward against Padmaavat then it has a good chance of even touching 340 crore nett in its theatrical run in India. Film is a huge Blockbuster! Also, film had touch 550 crore Worldwide by end of the day! Thus, it has become 6th Bollywood film ever to achieve this feat. Fri - 0.75 crore nett. Total - 330.5 crore nett (approx). Daya kuch toh gadbad hai.. Expecting good numbers in weekend. Lets c ! Movie already big blockbuster in spite of full on action movie. Waiting 4 Remo D'souza directional next. Ankur home many screens does tiger zinda hai has retained in its 5th week? Tiger Zinda Hai showed around 65% growth on its fifth Saturday to collect 1.25 crore nett and takes its lifetime total to 332 crore nett. The film Hindi collections are already ahead but looks like TZH will also cross the NETT figure of PK (all languages).